Here’s your chance to win a family ticket onto the farm AND a VIP meet and greet with your favourite super hero or princess! Meet and greet will be at 2pm on the day of your visit. 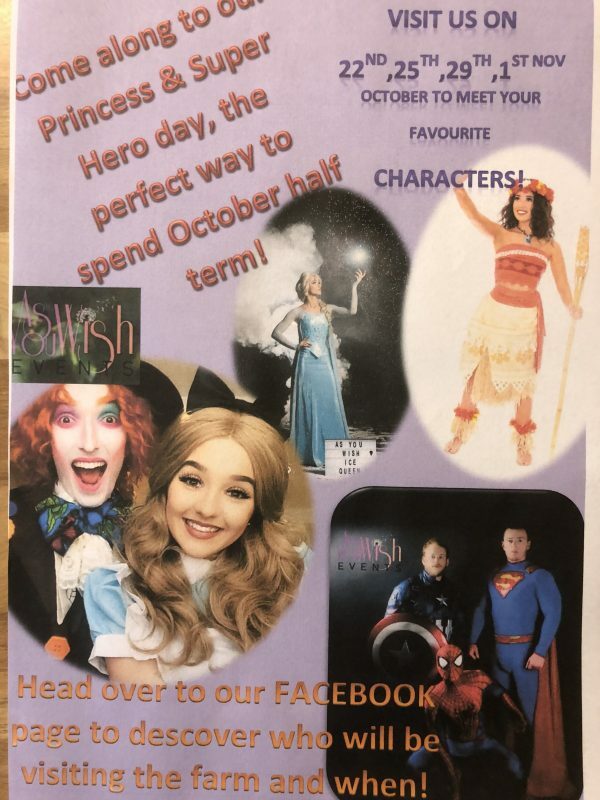 All you have to do is comment with your favourite super hero or princess and the day you would like to visit! Why not give us a like on our Facebook, Twitter, and Instagram pages for further information and updates. Here’s the list of days our hero’s and princesses are here! Welcome to the Tweddle Farm blog, why not browse some of our news and information below.